Products can have 3 different states in Pixpa. Active (Green dot): Products that are available in your store for buying. Coming Soon (Yellow dot): Products that you will be launching soon and are currently not taking orders for. Coming Soon status for products is a great way to showcase a teaser of new products that you are working on and are about to launch. 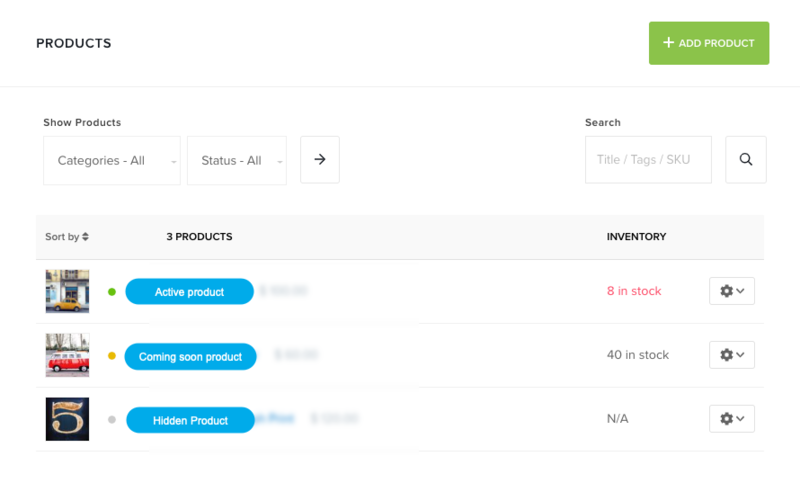 Products with Coming Soon status cannot be added to the cart. Hidden (Grey dot): Products that you have created in the store but do not want to show in your store. 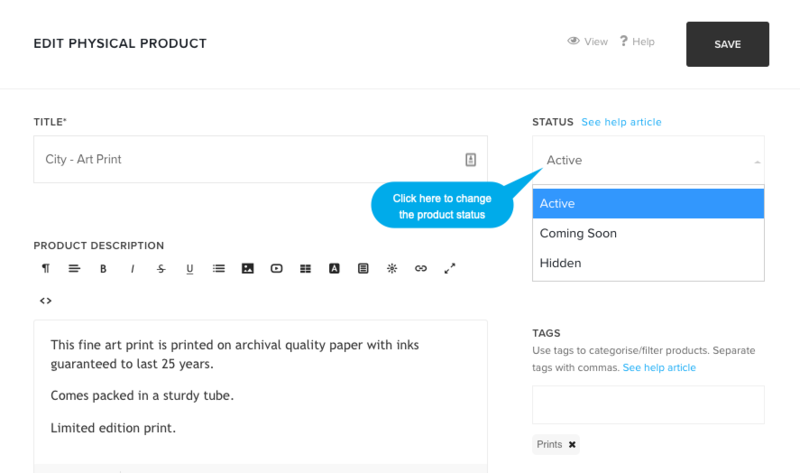 On the product edit page, you would see the status option on right side. Select the product status from the dropdown. Save your changes. That’s it.